Helping business owners with their websites, social media and marketing since 2004. We recommend checking out the following tools for your business and personal life. Make your website do more for your business! Begin to see your website as a powerful tool to tune-up each aspect of your business. This one hour training webinar is not technical in any way; it's just jam-packed with ideas to help you sharpen your business and your website! My book helps you improve your website AND your business! 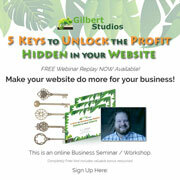 Begin to see your website as a powerful tool to tune-up each aspect of your business. == Refine your goals; Get more customers; Make more sales; Enhance customer service; Increase efficiency; Serve clients better, faster and easier; Make more money; Have more time. Buy this 70-pg book at Amazon, and use it like a workbook to sharpen your business and your website! FREE guide to help organize your crucial details...just in case! In a nutshell, this is a notebook filled with all of the information anyone could possibly need to know about you. The idea is that in our lives we have countless things that we are involved in. On rare occasions, other people need this information and no one knows how to get it. 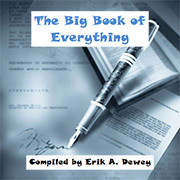 That's where the Big Book comes in. By filling this out and keeping it current, you can simplify the effort others have to take on your behalf. Highly recommended. Sales techniques useful in every area of your life and business! Contrary to the myth that you have to be a born salesman, selling is a step-by-step system that anyone can learn. 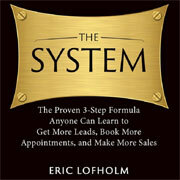 In this book renowned sales trainer Eric Lofholm distills the secrets of sales success into a simple three-step formula that has been used by more than 10,000 students over the past fourteen years to get more leads, book more appointments, and make more sales. Highly recommended. Please use our Member Directory to find the local businesses and services that you need! 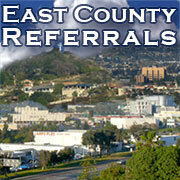 The men and women business professionals of East County Referrals are here to assist you. If you do not see your own field of business represented, please join us! Accept Credit Card Payments by Email & with your iPad or Smartphone! Get a free Credit Card Reader ... and get free Processing of first $1000! This service is amazing. Highly recommended. Learn about their service HERE, and then get the $1000 Free Processing Bonus when you sign-up HERE! Essential Business (& Home) Services that Feed Hungry Children! ...and see if you can save some money! Plus, you'll be feeding hungry kids through Project Feeding Kids! You probably are already using services like Wireless (Cell Phone), Home Phone, Gas & Electricity, High-Speed Internet, Satellite TV, Security & Automation... Compare our licensed services and help feed kids with every paid bill! ...before you wish you had! There are a lot of options out there and this is the best one I've found for the pricepoint. Their "Internet Security" option is just right to keep our PCs surfing the jungle with ease. Highly recommended. We can't stress enough the importance of backing up your computer. This fantastic service is totally automatic and only $5 / month. Highly recommended. This FREE online training course will show you a unique organizational system that allows you to get a full day's work done in just 2 hours. Highly recommended. Quality Photography and Stock Images for your Print and Website Advertising. Highly recommended. 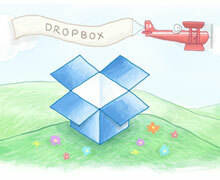 A very popular tool to Share and Bring your photos, docs and videos anywhere. Recommended. 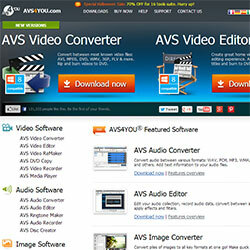 Simple, affordable Audio, Video and Image Editing Software. There is a free trial so you can take it for a test drive. This was the perfect solution for me before I could afford the "big dogs" in the industry! This is simply the best E-Mail Marketing Service there is. They have developed relationships with all the email service providers to make sure your email is delivered! These providers know of Aweber's commitment to eliminate unwanted email. Let them protect you and your clients. 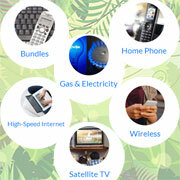 Excellent service with high class technical support. Choose the best for your business! This is the host I personally use for myself and all my clients. There are many options out there and you want to make sure to choose a company that has been around a while, has reliable server performance and has easy to access technical support. I am very happy with this provider and have upgraded to their VPS service for myself and my clients. Highly recommended. If you want the cheapest option available... here you go. I may be an affiliate for products that I recommend. Which means, if you purchase those items through my links, I may earn a small commission. In fact, I oftentimes am able to negotiate or find a lower rate (or other bonuses) not available elsewhere. We value your business and are here to support you! 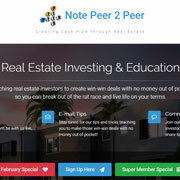 Gems of website wisdom ... short and poignant information done with humor ... entertaining. Well done CJ! Five super-effective ways for anybody looking to "do it yourself" and super-charge their website. 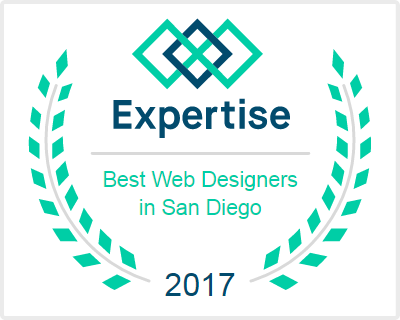 A blueprint for a successful website! Passionate ... and knowledgeable! 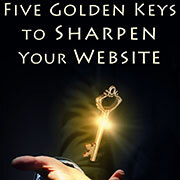 Read this book to learn how to improve the success of your website! Great book from the beginning to the end. The content is done really well, I learned something almost on every page! If you are responsible ... for your business, this is a must read. Great information ... easy to read. Grab a copy today! This vacation club has a really great program! 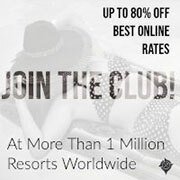 You can earn points and rewards on vacations you'd take anyway. Plus, take advantage of amazing savings they can negotiate for their members.